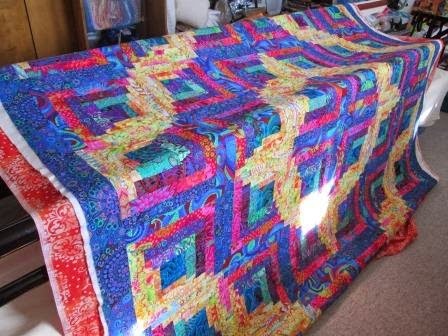 Today I get to show you a beautiful Log Cabin quilt that was inspired by me. 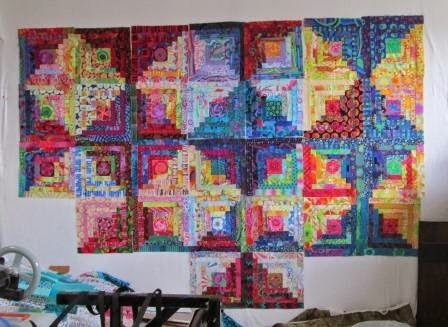 One of my customers was in my studio when I had my log cabin blocks up on the wall, a few months ago. I told him about the Kaffet Fasset collection of fabric and the exchange I was doing. 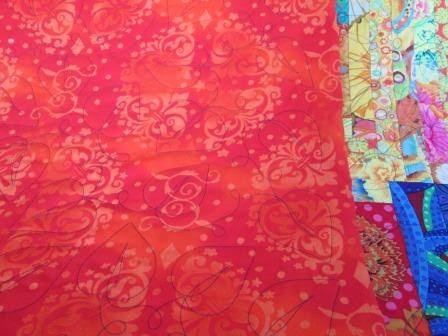 While he bought a large stash of fabric and got started on this quilt. He finished his quilt nice and quickly. He is working on the binding to finish it this week. He was planning to donate it to a charity as a fund raiser and it needs to be done before the weekend. The sun was shining in and making odd hot spots. I wish it showed off a little better. The two sides of the block have different size logs so that it is a curve. Here is the back of the quilt. I used dark blue thread and it shows up on the back of the quilt. Here is my design wall that had inspired my customer. 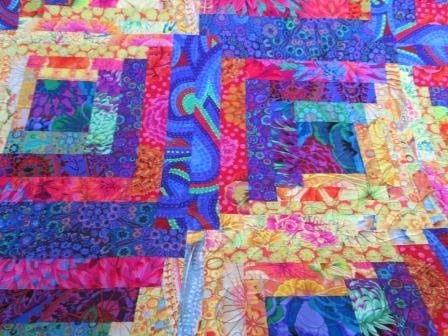 The blocks were apart of a block exchange I did earlier this year. I still have plans to make more blocks. Maybe I should take this project to retreat with me. Who know maybe I could get it done. Beautiful, just beautiful. And Inspiring.